Hi everyone! 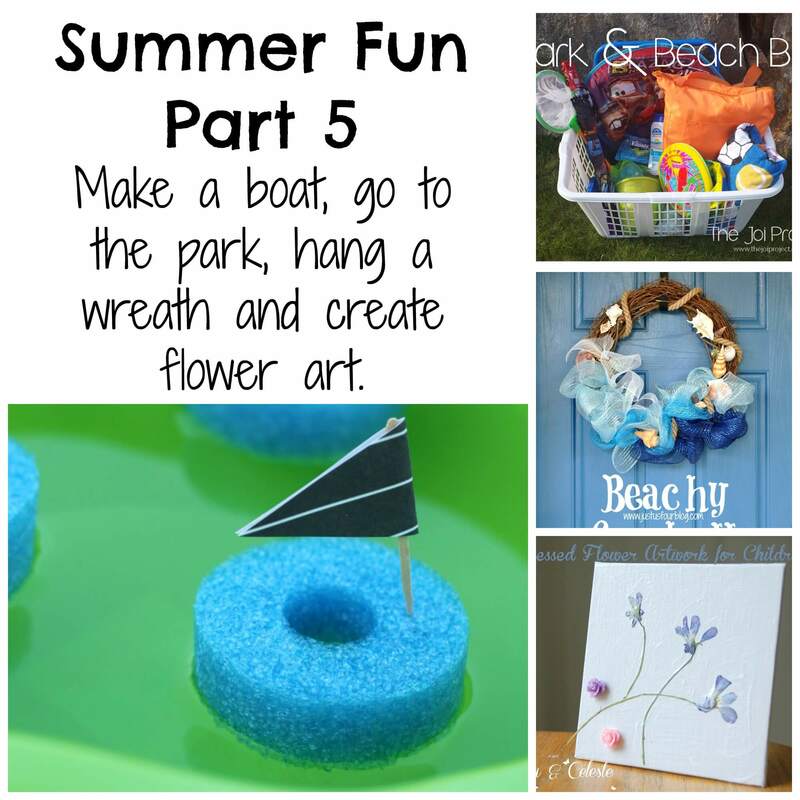 Thanks for stopping by during the Summer Fun Series being hosted by Emily from Nap-time Creations. Originally for this series I wanted to do a post about an outdoor activity that my daughter really loves to do but we’ve had so much rain the past month that I thought an indoor activity would be more appropriate. Silly Bean is 4 and pretty much did the whole thing herself. 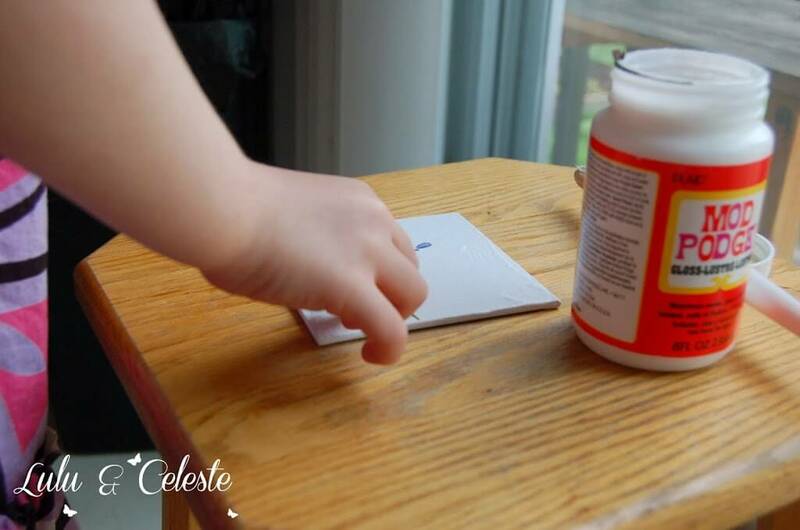 It was her first time using Mod Podge so I explained how to work with it, but otherwise she did it all on her own. 1. This is really a two part activity. On a nice day, while you’re outside enjoying yourself, pick a few pretty flowers. 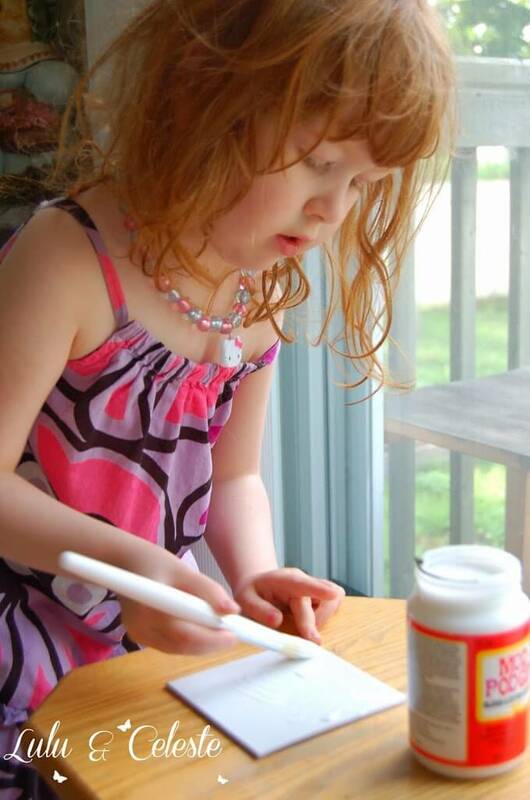 grasses, leaves, whatever small, thin nature objects your child finds interesting! 2. 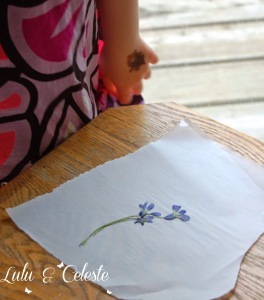 Place the flowers and grasses between two pieces of parchment paper. Press the flowers slightly open so the petals are all showing. 3. Slide the parchment paper between the pages of a book and place another stack of books on top. Leave the flowers for a couple weeks to dry. The dried flowers waiting to become art! 4. 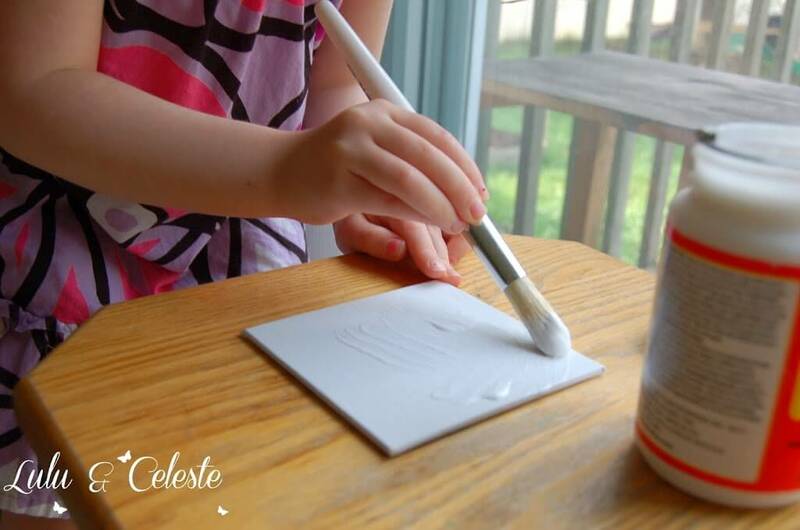 On a perfect rainy day when your kid needs something to do, pull out the canvases, Mod Podge, and brushes. 5. 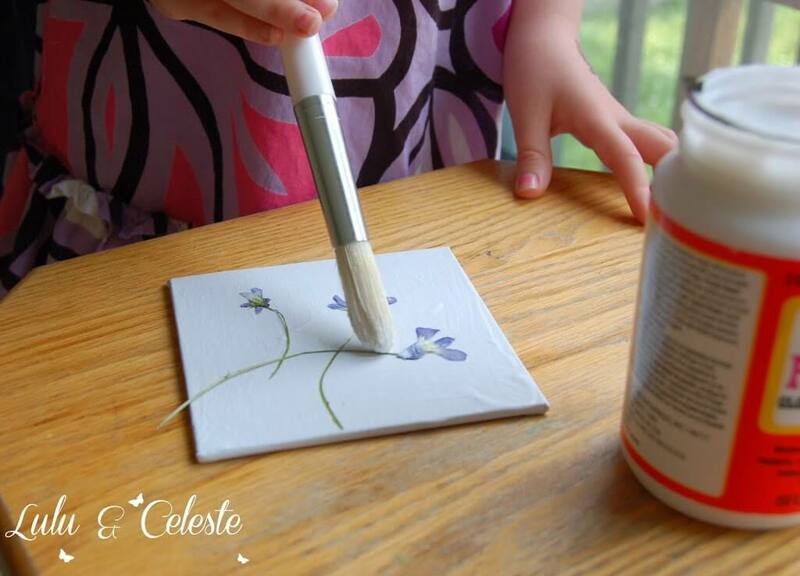 Cover the canvas with a thin layer of Mod Podge, then place the flowers and other trinkets on top however you like. 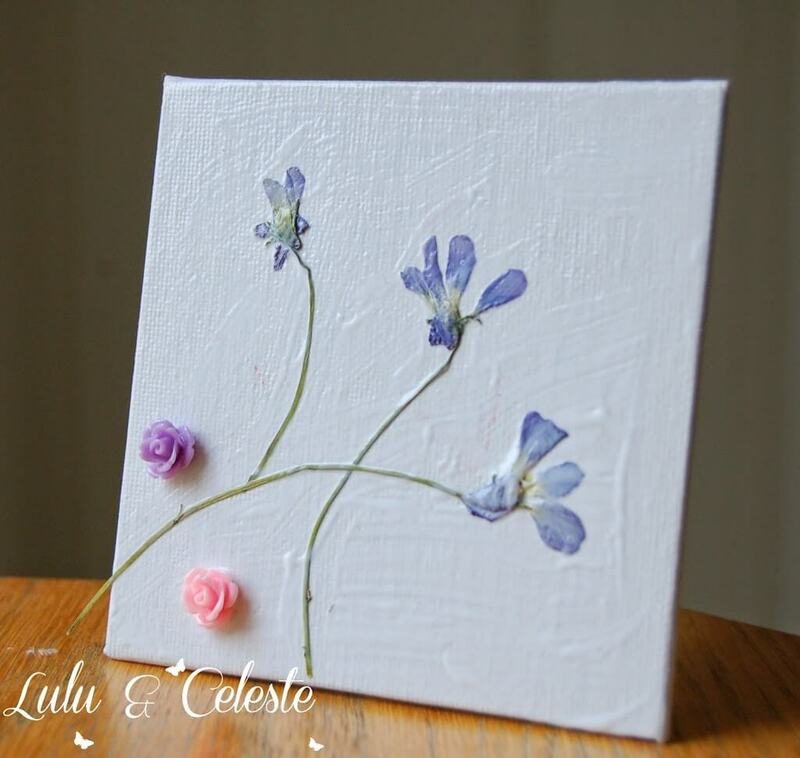 For the resin flowers we found they stayed on best by painting a bit of Mod Podge to the back of the resin flower first before putting on the canvas. 6. 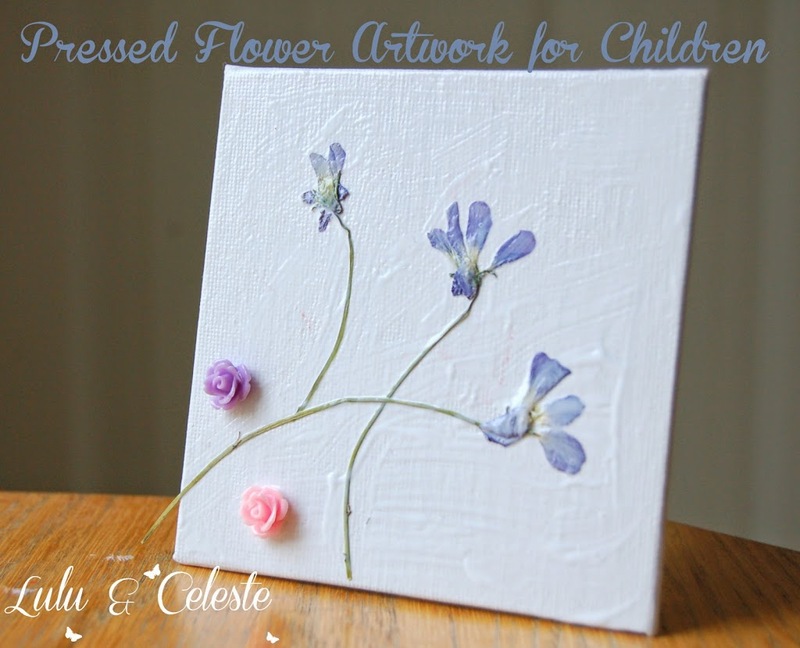 Cover the flowers with another thin layer of Mod Podge. 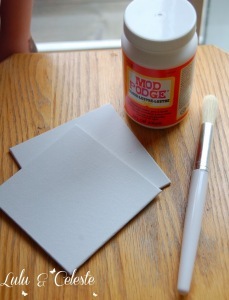 Let dry completely and then do a second coat. 7. Once dry you have a pretty little artwork. Lean it on a shelf, frame it, or attach a hook to the back and enjoy! You can check out all the fun from last weeks post here. Next Post Scalloped Princess dress by Little Kiwis Closet Blog Tour and GIVEAWAY!